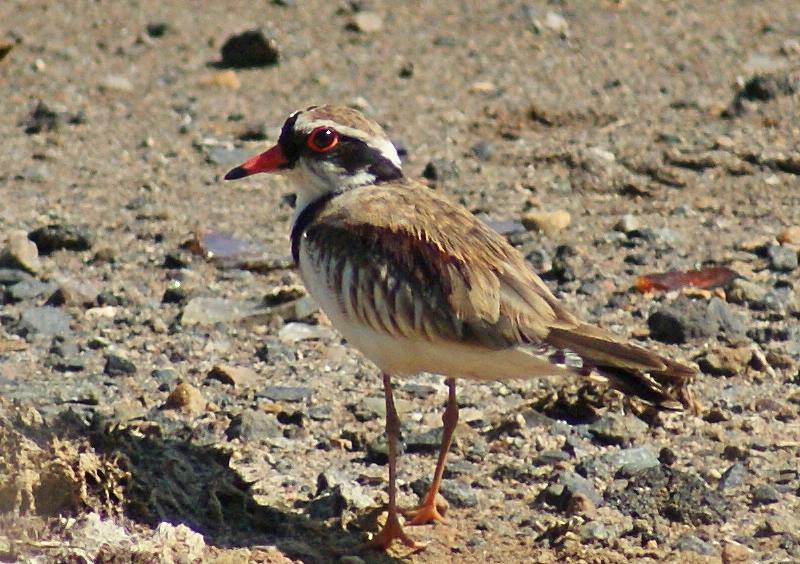 These small waders (16-18 cm) are common throughout Australia, often found near lakes, marshes, sewage works and wetlands, often far inland. As with many other small waders, they have a diet of insects and other invertabrates, often running and bobbing as they search for food. The plumage remains the same all year, which aids identification. They are usually found in pairs, which nest in shallow scrapes on the edges of freshwater areas, although can sometimes be found singly or in larger groups. While native to Australia, they began to colonise New Zealand in the 1950s. 1: Mason Park, Bicentennial Park, NSW, 04/09/2011.